Defending champion Ronnie O’Sullivan suffered a shock first-round defeat to Marco Fu at the World Grand Prix. O’Sullivan, 43, took the first frame with breaks of 68 and 51 but fell 2-1 behind before levelling with a 77. The world number three looked set to go 3-2 up but a mistake was punished with a 66 by Fu, who then delivered a 91 break to seal a 4-2 victory. 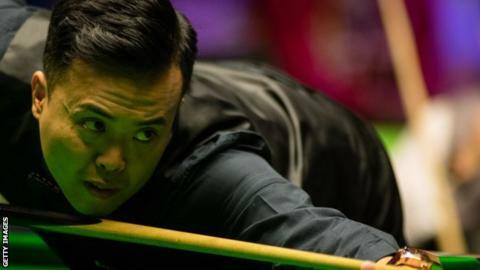 The Hong Kong player, 41, will face Barry Hawkins, who overcame Wales’ Ryan Day 4-1 in the opening round. Stuart Bingham and Mark Allen are also into the last 16 in Cheltenham. Bingham was quick out of the blocks against Zhao Xintong, going two frames up on the back of breaks of 131 and 102 before closing out a 4-1 win that will see him face either Kyren Wilson or Matthew Stevens next. Allen won 4-2 against Gary Wilson, finishing the contest with a clearance of 78, and will face either Martin O’Donnell or Ali Carter in the second round.